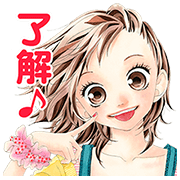 http://www.line-stickers.com/ – STROBE EDGE Line Sticker | The hot Shojo Manga Strobe Edge has already been turned into a feature-length film – now all your high school heroes are here on LINE! 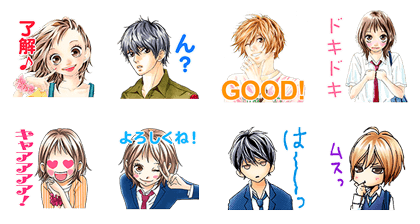 Download any volume of Strobe Edge on LINE Manga to get this set for FREE. Hetalia: Axis Powers Silver Spoon + LINE Manga version Black Jack KAWARETE SOUROU. Previous post Ned, Fred, Bread and Steve!